The Magpies eventually got their first win of the season at the 11th attempt and a huge weight seems to be lifted off of the Spaniard's shoulders. Rafa Benitez was still his calm and collective self during his post-match interviews but couldn't hide the fact he was delighted that his Newcastle side got their first win of the season against Watford. The Spaniard will be hoping this is the catalyst his side needed to kick-start their season and start moving up the table. Benitez was evidently happy with the result on Saturday as he spoke to The Chronicle: "It's one step in the right direction. "The three players coming from the bench did well, working like the others, but the composure and understanding of the things we needed to do was great. "A very good contribution from them." Benitez seemed to be happy with both the result and the performance from his players despite Watford being the dominant side for the majority of the game. However, Newcastle seemed to find a way to grind out a result and nobody seemed more relieved than the manager himself: "Today was a very good day in terms of emotions and intensity. "The connection, the fans, the players, everyone was pushing in the same direction and it was a big difference. "We now have to relax and enjoy this. We'll be back in training tomorrow and we will enjoy it." 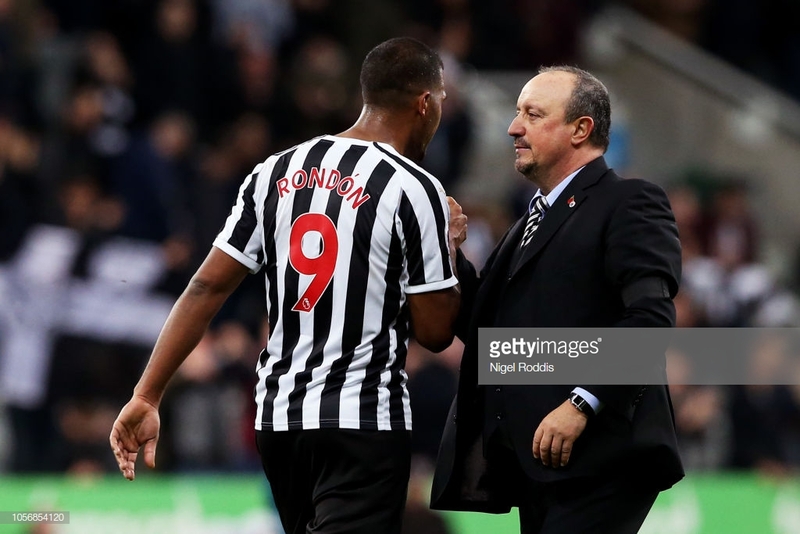 Newcastle's manager, fans and players will be delighted to move out of the relegation zone and Benitez emphasised how great of a win it was: "Great three points because everyone will feel they can compete and stay in the Premier League. "Today, against a very good team - great atmosphere - too many complications with the substitutions but, still, the team was fighting until the last minute."